My husband has worn contacts since he first started high school. He like most kids that wore glasses wanted contacts as they became a teenager. For sports, looks or convenience contacts are a great solution for not wanting to wear glasses when you need them. We shop in stores for contacts and with a 2 year old and a husband who hates to shop it can be a no fun task. He has a brand he likes to always use but does from time to time try what is new and improved. We have considered shopping online for contacts to save time and money. I have heard the name 1-800 CONTACTS many times on the internet and on tv. That is a good thing since I would be a bit worrisome to try a company I have not heard of for such a important item. The great thing about 1-800 Contacts is that guarantee to beat any price by 2%. Free Shipping on orders over $50 is great! My husband buys a few months worth at a time when we buy them, no one wants to run out of contact lenses. 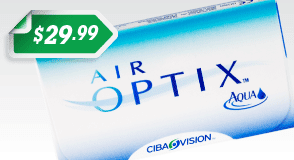 They carry all the great brands that everyone buys like Acuvue, Air Optics, Focus, FreshLook, Air Optix Night and Day lenses and many more popular brands. Ever thought of changing your eye color for fun, if you have a prescription for contacts that can easily be obtained at a store like Walmart you can order colored lenses online at 1-800 Contacts. I wonder what I would look like with brown eyes?!? All with the convenience of being at home at your computer to order them. Then just waiting on the mail to deliver them. I love the simplicity of online shopping! They have a lot of info to get you started if you are new to contact lenses and also have live chat. So much easier to ask right then while on the site then to have to send an email. I have been using Live Chat with many companies lately and I love it. Next time my husband needs to stock up on Contact Lenses I will have him look at the 1-800 Contacts website. You can learn more about contacts as well as find out about great sales by following 1-800 Contacts on Facebook and Twitter. *This is a sponsored post. A sponsored post does not effect my opinion. I gave an honest story and opinion.